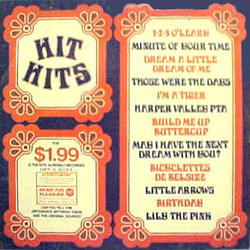 This is an image of the Australian edition. It gives a price of $1.99 on the front. 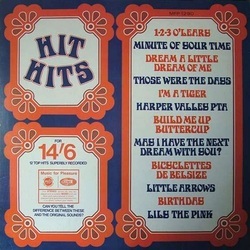 Otherwise it appears to be the same as the UK album. The catalogue number is A 8064. 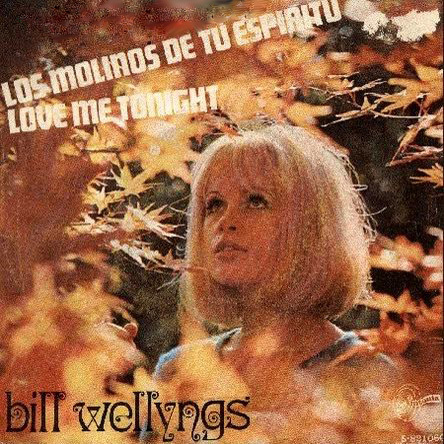 This Spanish single purports to be by Bill Welliings. 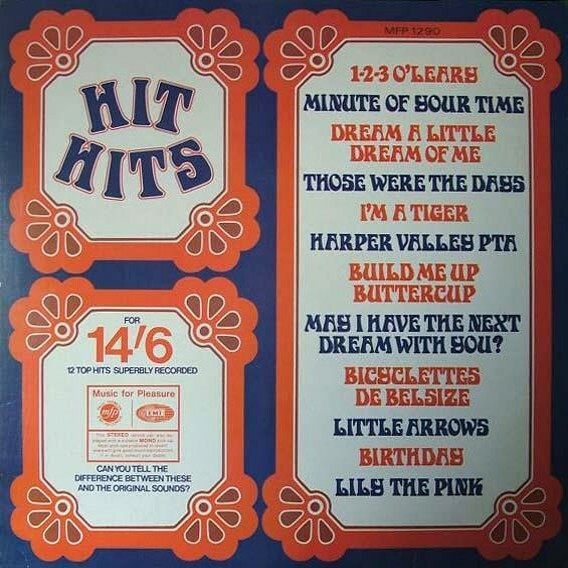 It couples two songs from the LP - "Windmills of Your Mind" (AKA "Los Molinos de tu Espiritu") and "Love Me Tonight". 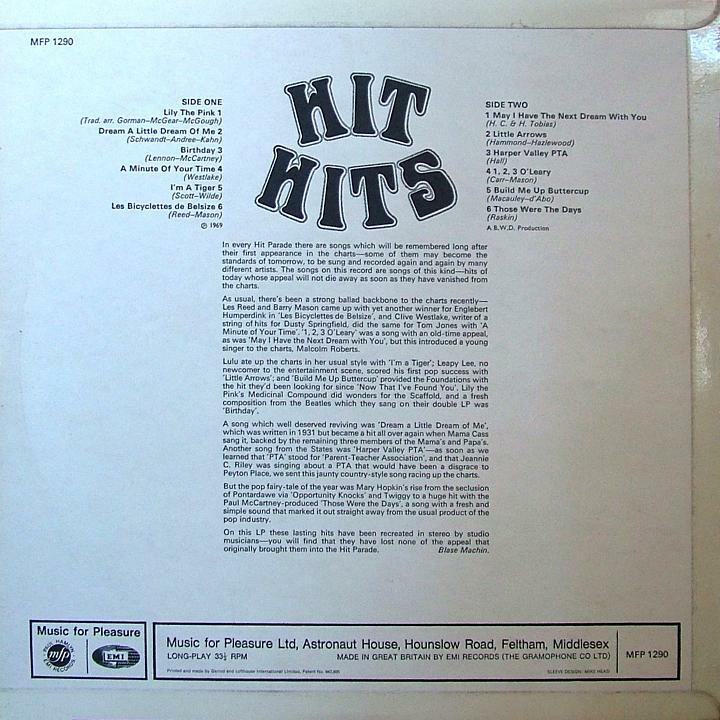 We do not know if the LP was also released there. 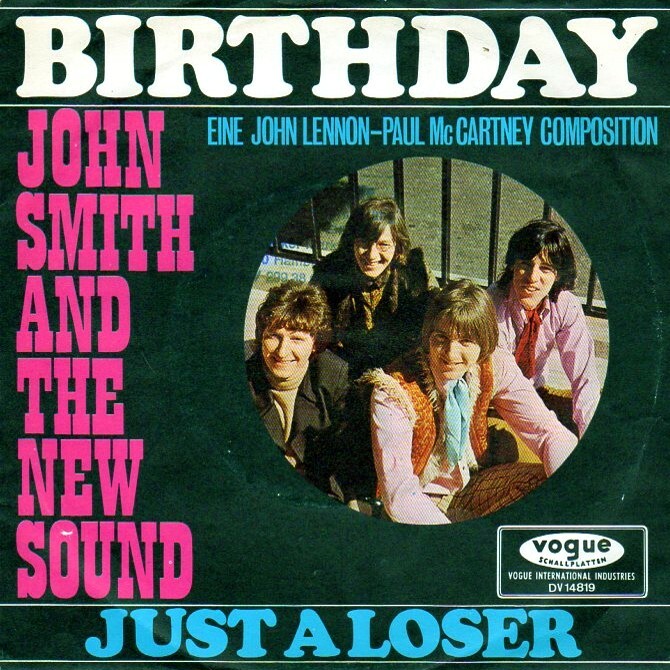 Besides working on the mfp covers portfolio, Bill Wellings was also manager of a band in the mid-1960s - namely, John Smith and the New Sound. 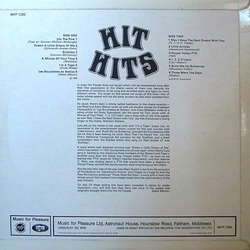 The lead singer left the group in 1968, but Wellings decided to continue the act, by recording cover versions and releasing them under the group name. 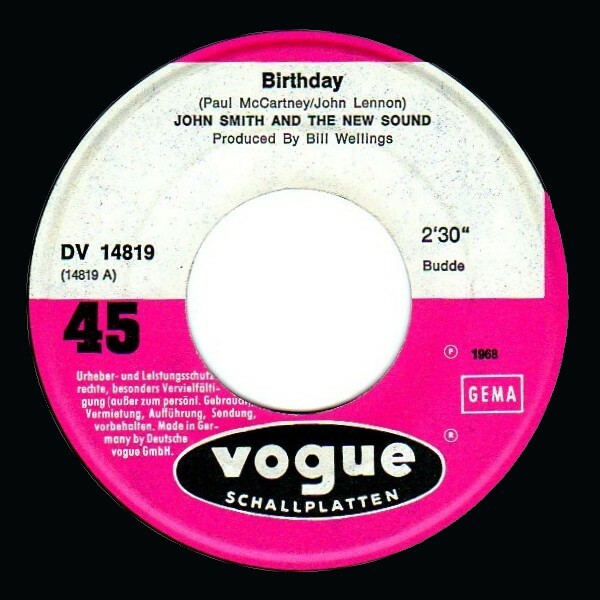 One of these was "Birthday", issued in West Germany on the Vogue label. 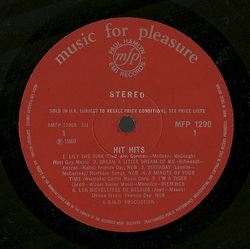 Note that this was issued in 1968; the UK album Hit Hits was 1969, demonstrating that Wellings recorded the track independently from mfp, and recalled it for inclusion on the album.